Most people know that you can store and retrieve documents from the cloud, but did you know you can have your documents printed via the cloud, also? Thanks to the increased functionality of smartphones, tablets and other mobile devices, these devices have managed to become an important tool for business users. 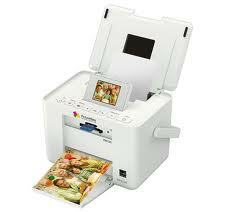 The ability to print documents from these devices is a useful feature that many users would love to have. However, most smartphones and tablets don’t come with any printing system of their own and the ones that do barely support most current printers. Cloud printing works by giving smartphone and tablet users a way to print important documents from devices that otherwise lack the ability to print. Without any print drivers to worry about, there’s less concern about how to accommodate a multitude of mobile devices or enable support for legacy printers. Business users don’t have to be anywhere near a printer to initiate printing jobs – they can either pick up their documents at a later date or have them printed directly onto a client or associate’s printer for expediency’s sake. Cloud printing is an amazingly straightforward affair that’s being pioneered by efforts like Google Cloud Print. The major search engine giant has been hard at work for years pushing this technology to fruition, leading up to its launch back in late January 2011. Similar to other solutions that are soon to follow, it works on all mobile devices and it utilizes APIs (Application Programming Interfaces, like when you share something on Facebook without being on Facebook’s site) to collect data on custom print options. Files to be printed are uploaded via an Internet connection onto a cloud computing service that facilitates printing (such as Google Cloud Print). Using a web-based application, the user initiates a new printing job for documents pushed through that cloud service. A wide assortment of options and special features are available, depending on the API. The printing job is sent from the cloud service to a cloud aware printer, where the printing job is completed. Non-cloud printers must rely on information sent via Wi-Fi, Bluetooth or wired LAN connection to a print server or the printer itself. Jobs can also be sent through a desktop properly connected to a printer. The technology works best with cloud-aware printers, a new breed of printers that would make it much simpler to print documents directly from cloud share, if they currently existed. In the meantime, users must send their printing jobs through ordinary printers connected to a Wi-Fi connection or an on-location desktop networked to a printer. That means your printer has to be configured correctly for reliable, guaranteed printing. Some people wonder why business users simply can’t fire off an email and let the recipients on the other end handle the printing. Time is of the essence and every minute counts in intense business situations, so having a quick and sensible solution to common issues is the key to enjoying success. Cloud printing promises to help make it easier and more convenient for business users to get things done even when they’re away from the office. For an average home user, you can bet this will change our thinking about when we can print something. Haven’t you been somewhere and you find something on your smartphone that you wish you could print so you don’t forget about it? Instead of doing that you’ve waited until you got home instead and looked it up a second time just so you could print it out? Those days may be gone, with this new technology printing anywhere in the world has become a reality.